Here are the pictures from our East Cape Caper tour where our guests enjoyed traveling in a remote but beautiful part of New Zealand. Here are our favourite pictures from the Molesworth Station, Abel Tasman and Golden Bay Tour with our Kiwi guide Matt. Looks like we had great weather in the top of the South Island. Here are our favourite pictures from our Wairarapa Wandering Tour where our guests explored the Wairarapa to Cape Palliser, Greytown, Stonehenge Aotearoa and lovely local gardens. Our guests enjoyed our incredible Christmas in Northland Tour with our amazing Kiwi guide Sean ! Looking back on our New Year's tour, where our group celebrated New Year's Eve in style by dining at Walter Peak Station and watched the fireworks in Queenstown. On this Christmas tour, our guests stayed three nights at New Plymouth's Waterfront Hotel, saw the Festival of Lights at Pukekura Park and celebrated Christmas with lunch at the Nice Hotel. Our best of Christmas in Marlborough gallery where our guests cruised the beautiful Queen Charlotte Sound and lunched in Picton on Christmas Day. 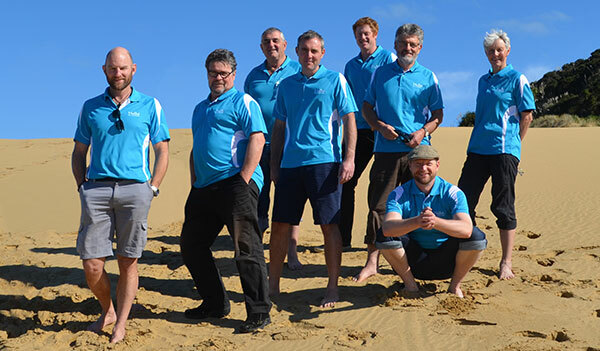 Our guests enjoyed our Southern Odyssey & Stewart Island tour with our kiwi guide Andre. Here are some stunning pictures from our second Otago Farmhouse Gardens tour with our Kiwi guide Paul. Here are our favourite pictures from our Otago Farmhouse Gardens tour where our guests got to meet the farmers, wander their beautiful gardens and enjoy the charm of quaint gold rush towns.